We come from let your food be your medicine. We come from family and home cooked meals. We come from whole organic unprocessed food. We come from support local, small farmers. We come from quality before profit. What we come from is what we strive to offer. 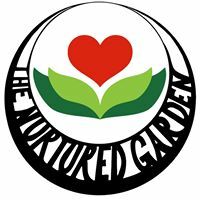 The Nurtured Garden is a small business located in Canmore, Alberta. It is owned and operated by Maja Kasdan. Maja is a holistic nutritionist and mother of two small children. Her passion for food that nurtures mind, body and spirit inspired her to start The Nurtured Garden. All ingredients have been specially selected to produce nutrient dense and delicious food that children and adults will love. The facility where the products are made is gluten free, nut free and organic. Bag of 10 macaroons, sweetened with maple syrup. This gluten-free Buckwheat granola makes a high-protein, high-fibre breakfast or snack. Raw organic honey and true cinnamon. What is it about sweet and salty? The maple syrup provides just a hint of sweetness against the Himalayan Rock salt. Delightful sprinkled on holiday trifles, squash soup and festive green salads. They provide the perfect seasonal touch for any dish!